Pursuing justice doesn’t have to start after you take the LSAT. SVSU’s pre-law program is designed to engage you in the process right away. You can pair a pre-law concentration with any number of different majors: Political Science, Criminal Justice, Accounting, Communication, English, History or Management. At SVSU, we believe in supporting, empowering and challenging our students. If you’re a pre-law student with a passion for justice, our faculty will develop your knowledge and skill. 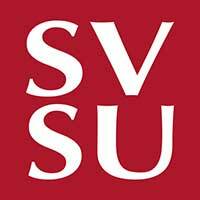 From courses and lectures to conferences and competitions, SVSU offers a robust approach to pre-law. Connect with a pre-law advisor today and start your Cardinal journey by applying. From SVSU’s course Exploring the Legal Profession (PS 230) to earning credit as part of the Moot Court Team, the pre-law program offers law-specific courses and conference opportunities to round out your major and set you on a competitive path toward law school. SVSU’s Moot Court team is ranked in the top 25 teams in the nation. Our students have beat teams from Duke and the University of Chicago in head-to-head competition. Through creative briefs and oral argument, Moot Court provides students first-hand experience practicing law in front of an appellate court. In addition, SVSU offers pre-law students experiences such as the Law Club and Law School Forum. Lawyers traverse a variety of fields and sectors, defending the innocent and upholding justice in our country. Whether you are interested in a judicial clerkship or private practice, entering politics or representing a corporate client, the opportunities for you as a pre-law student are vast.